The past few weeks of good weather have taken time away from the usual schedule of blogging. Back in February I managed to head-point Kaluza Klein (E7 6b). 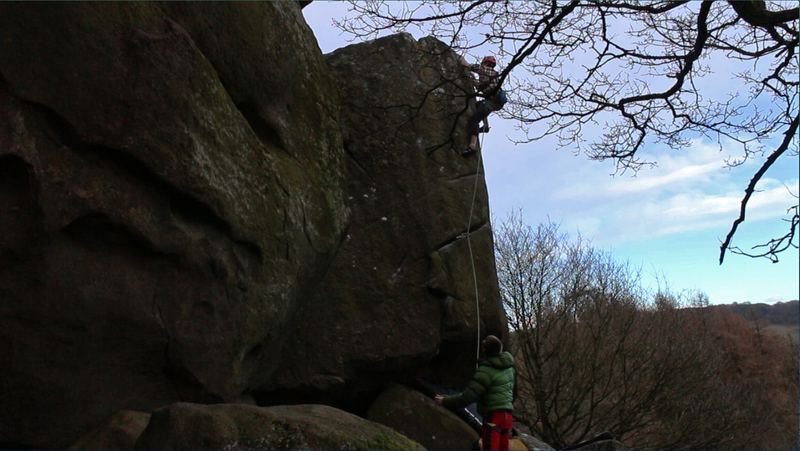 This little route gets a bit of stick due to the fact it is both very short and quite soft for the grade. However, as is typical of so many of Johnny Dawes’s routes it has magnificent line, flamboyant moves and a memorable finish. 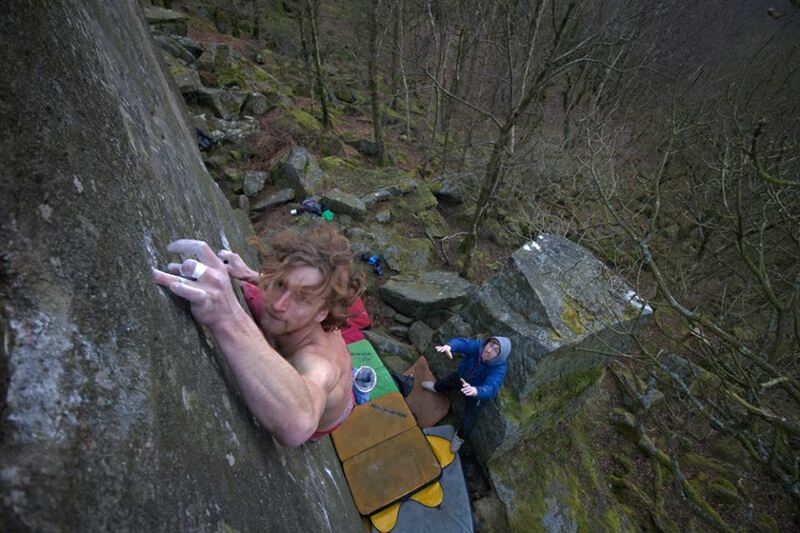 Calum Muskett Jumping on a Beetle (Highball 7b), another visionary piece from Johnny. 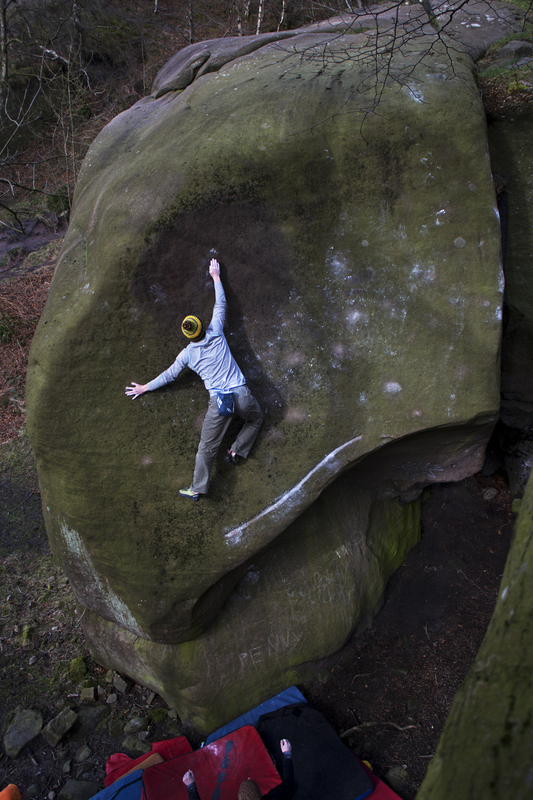 Whilst over at Black Rocks we tried his direct – The Angel’s Share – which is a mind-blowing faith in friction exercise. I am unsure of how to train this skill other than to do lots of climbing and increase that sensitivity and connection with the rock. As Bruce Lee put it “don’t think – feel”. 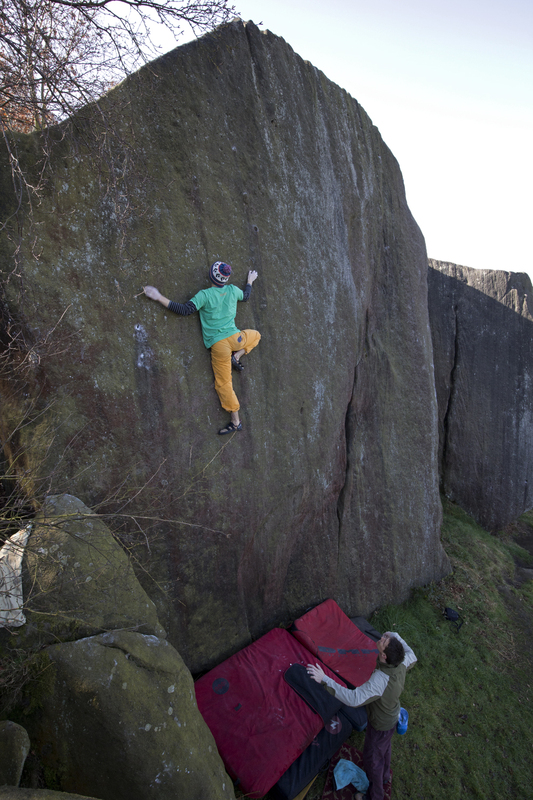 Whilst the rock at Brimham may not be up to the standard of the Roaches Skyline, the magical nature of the venue more than makes up for it. 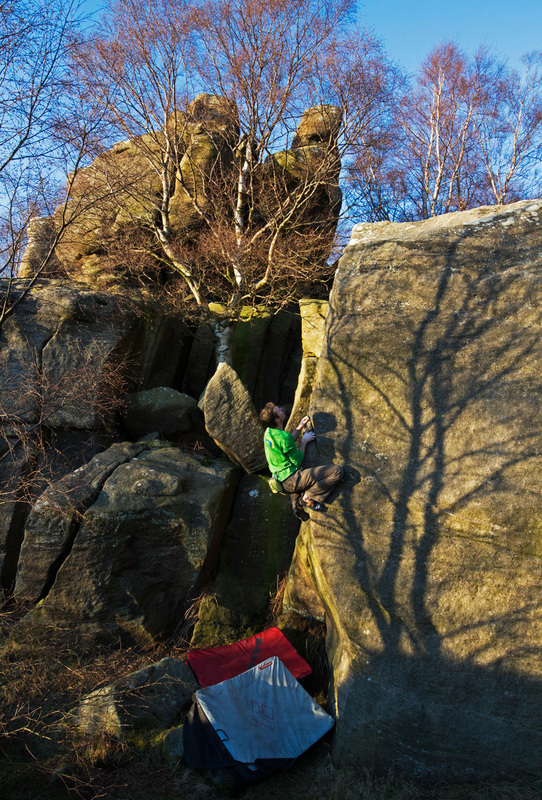 Here Andy Houseman laps up the evening light during a quick trip up to Yorkshire. 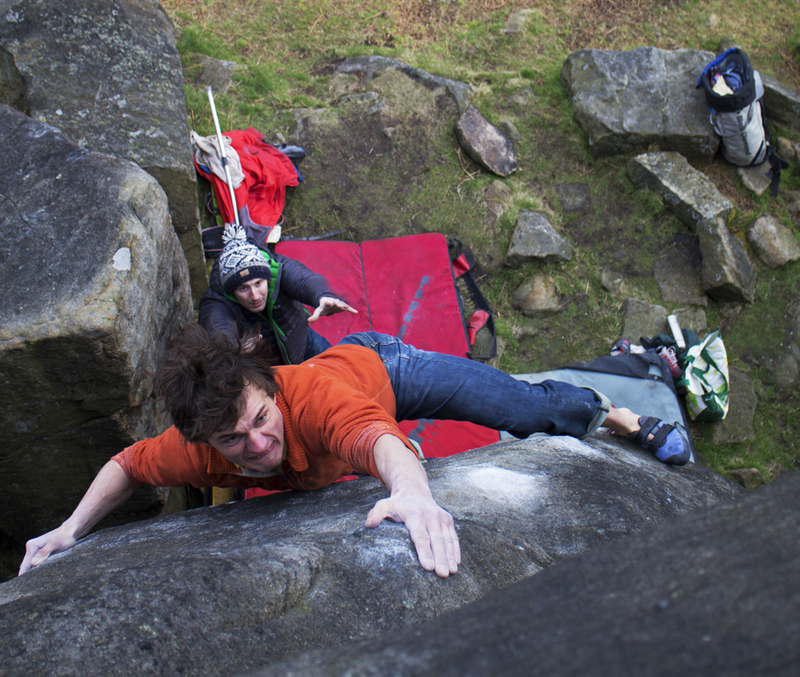 Psycho (E5 6b or Highball 7a) is a route I have wanted to do for a long, long time but always found an excuse not to (i.e. it’s too high, looks too hard and is nearly always green). On this occasion there was no such luck and I did both Psycho and Psycho Direct Start. Until a few weeks ago I had never climbed at Burbage West, odd seeing as it is one of the most accessible crags in the whole of the Peak. 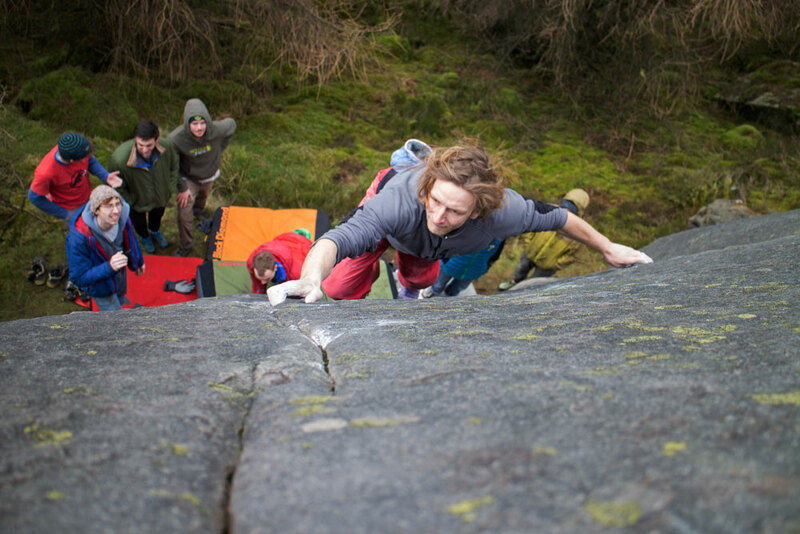 There I managed my first 7c, Famous Grouse Sit Start – not bad for someone who considers themselves a weak trad climber! 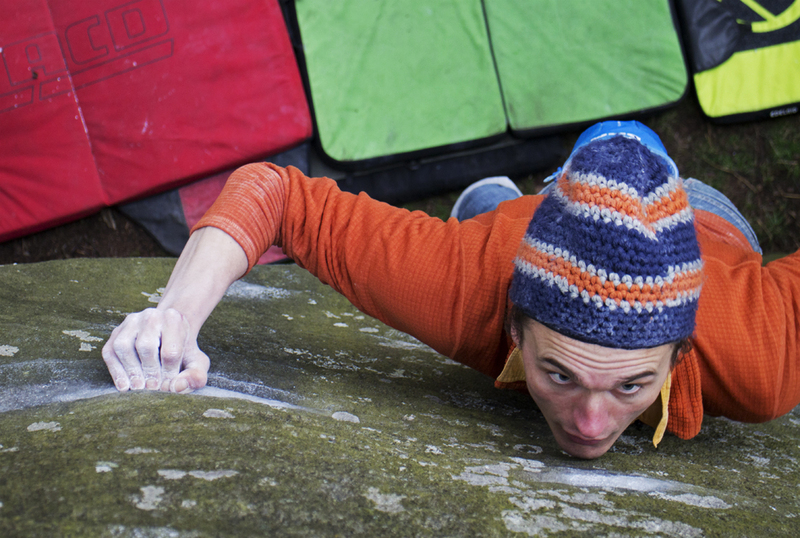 Visiting German Benno Wagner doesn’t usually get scared or fall, but on this occasion he did both on Charlotte Rampling (E6 or Highball 7a+) – another of Johnny’s routes!! He took off one item of clothing for each attempt – jumper, t-shirt, then vest. Thank goodness he didn’t fail again or spotting could have been a seriously intimate experience.